Workers at a Windsor car dealership are on strike. 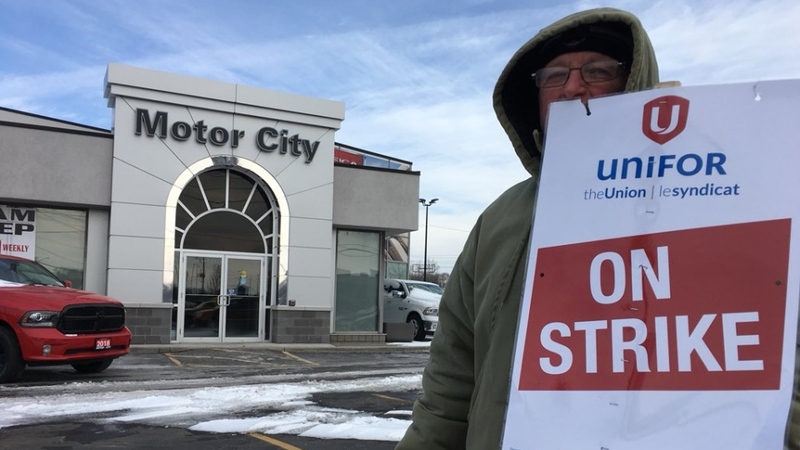 About 65 staff at Motor City Chrysler at 2300 Tecumseh Road East went on strike early Wednesday morning. Unifor Local 195 president John Toth says the sales, service and clerical employees are fighting for respect and against concessions. “The economy is doing better and people expect to make some gains,” says Toth. 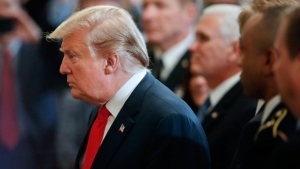 “Nobody is looking for anything huge or anything like that, we're just looking to move forward rather than backwards." Toth says despite numerous bargaining sessions, the company has not moved off of their position for across the board concessions. He claims they include, but are not limited to, claw backs on holidays, benefits, wages and working conditions. Toth says if necessary, they will escalate our efforts in the near future. Motor City Chrysler has the company's fifth highest sales among Chrysler dealerships in Canada. Management declined to comment to CTV News, but managers are taking on different roles to keep the dealership open. Toth says negotiations broke down two weeks ago, and no new talks are scheduled.